There’s a student theater production going up in Shanley Pavilion next weekend, but it isn’t just for students. For the first time in Northwestern history, an initiative called “Theater Stands with Autism,” has devised a production specifically for children on the autism spectrum. The show, titled “Diving In,” is a highly interactive, multisensory treasure hunt that gives children with an autism spectrum disorder an opportunity to see theater in a controlled setting. Co-founders Melanie Gertzman and Anna Marr, both Communication seniors, have been planning the show for nearly two years and will finally see it come to fruition May 10. Many children on the autism spectrum cannot attend mainstream theater productions because they have trouble sitting still or are disturbed by various aspects of the set, characters or plot structure, Gertzman said. TSWA members have created an autism-friendly theater experience for children in the Evanston community. 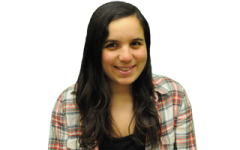 Gertzman, a psychology double major who took an interest in autism after mentoring a child at her Hebrew school, did extensive research on theater for children on the autism spectrum before pitching the idea to Purple Crayon Players last spring. The day of the show, five children who have been signed up for that performance will walk through a newly constructed “assimilation room” where they can familiarize themselves with the “underwater” setting and prepare for the show. This room will also provide a space for children who need to leave the show for any reason. Five cast members will play characters within the underwater treasure hunt theme — mermaid or sea horse, for example — while the other five will serve as “adventure guides” and lead the children through the show’s interactive components. Children will have the option of going up on stage and playing with various props and set pieces, which are all made of textured materials because children with autism are very engaged by sensory experiences, Gertzman said. The show does not follow a narrative structure as traditional theater does, but instead involves a series of small vignettes within the same theme. The children have already received information and videos about the characters so they and their parents can prepare. Scheduling and ritual are very important for children and can help relieve anxiety, Gertzman said. Gertzman, with business producer Marr and dramaturg Lindsay Amer, petitioned last winter for a student-led winter seminar about children on the autism spectrum, which they taught to the 10 undergraduate students who serve as the cast of the production. All were trained on the various manifestations of autism and the protocol for handling adverse reactions to the show. Daphna Weinstock, a Communication sophomore and an adventure guide, said she had no connection to autism before joining the production. Gertzman and Marr were both motivated to start the project by personal ties to children with autism spectrum disorder and were even more interested after discovering The Red Kite project, own production for children on the spectrum. The pair contacted the show’s director, Jacqueline Russell, this summer. Since then, she has been mentoring them and externally overseeing the production. Russell said the biggest challenge of putting on a production of this nature is that actors never know how children are going to respond. Even with training, actors need to be cognizant of audience reactions at all times. The show will be open to NU students 10 p.m. May 10 and 7, 8:30 and 10 p.m. May 11. There will be three shows specifically for children on the autism spectrum May 12. To ensure the show is an intimate and comfortable experience, Marr collaborated with Autism Speaks U to contact local schools and autism services in search of children for the audience. Most of the children come from Have Dreams, an after-school program for children with ASD, Marr said. There are 13 children currently signed up, which means there will be no more than five children at each performance.